You can walk into Zion National Park East trail from this home. Rabbit Junction Cabin is located at the East entrance of Zion National Park, and we are only ten minutes to the east park entrance station. Rabbit Junction is a luxury vacation home designed with the charm and beauty of the Old West. Rabbit Junction has four bedrooms and 3.5 bathrooms. We can accommodate up to 14 people in beds. Rabbit Junction sits on one acre that backs on to open space to give you that true mountain experience. There is great access to surrounding forest/plateau country and Zion for hiking, mountain biking, horseback riding, photography, and great sightseeing. Located to take day trips to Bryce, Zion, the Grand Canyon, Lake Powell, Navajo lake and many more sights to see in the area. I built the home near beautiful Zion National Park. Zion National Park is simply amazing. Large Custom Pool at Zion Ponderosa Resort located 1/2 mile from the cabin. Better than what I expected. Perfect for large groups. The only complain we had was the location of the hot tub . It is now located right outside the master bedroom. There may be some privacy and noise issue if other users are using the hot tub when there are people sleeping in the master bedroom .Also the hot tub is underneath the second floor balcony making the view of the beautiful zion sky obstructed .It should be at the corner of the deck facing the valley where the guest will have a majestic view of the valley and the beautiful Zion skyline too. Other tham that it's a great house to have a vacation . 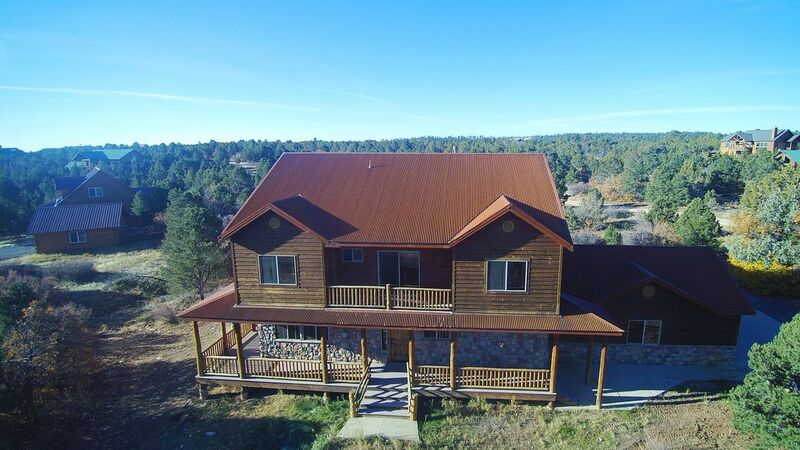 Great house, hot tub terrific after hiking, well located between Zion and Bryce. Quiet. Clean. Everything you need for a terrific stay. Great home and an even better host! Our host Sharon, was incredible! The home was exactly as advertised, beautiful and extremely clean. Could not of had a better trip. I highly recommend this home and the host. Thank Sharon! We had a great vacation with 8 adults in our group, lots of space for all of us. This was my first experience with VRBO, I would highly recommend this location if you want to hike both Zion and Bryce, we drove from Vegas. Very clean home. Sharron was very helpful as the property manager. Night time star gazing was impressive. We traveled over Labor Day weekend, we got up early to beat the crowds and had great hiking, even with Angels Landing closed due to heavy rains in July. Probably our best vacation in half a decade! The property was perfect! The amenities were better than we could have expected! They had everything we needed and then more! We were there with 13 folks, including nine kids between my brother and I's fams. And the house was PERFECT!